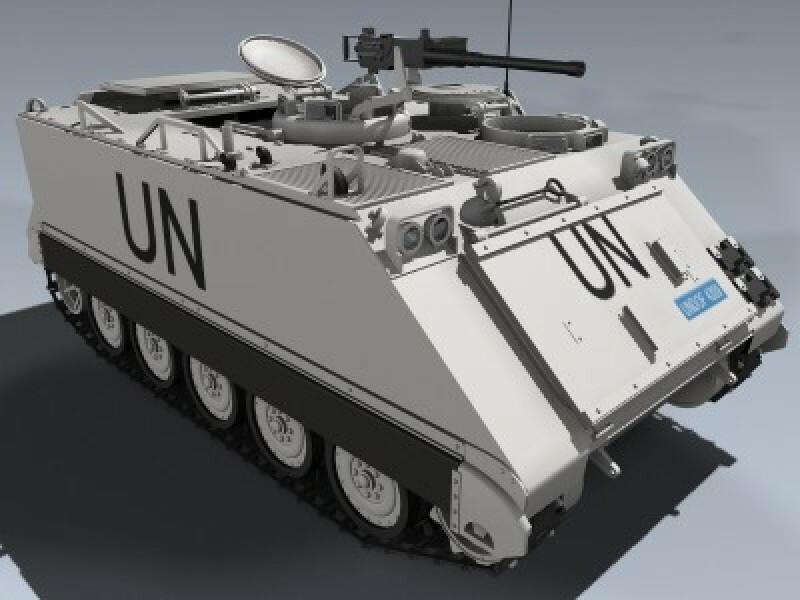 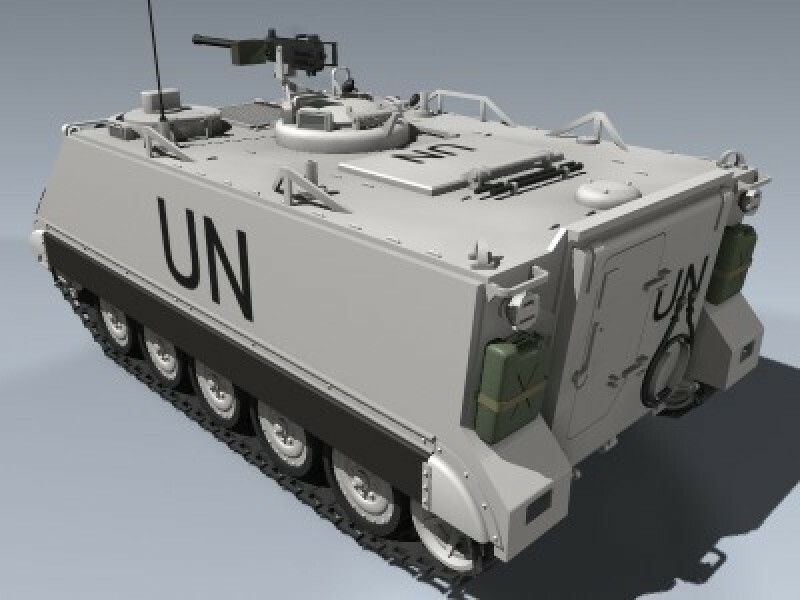 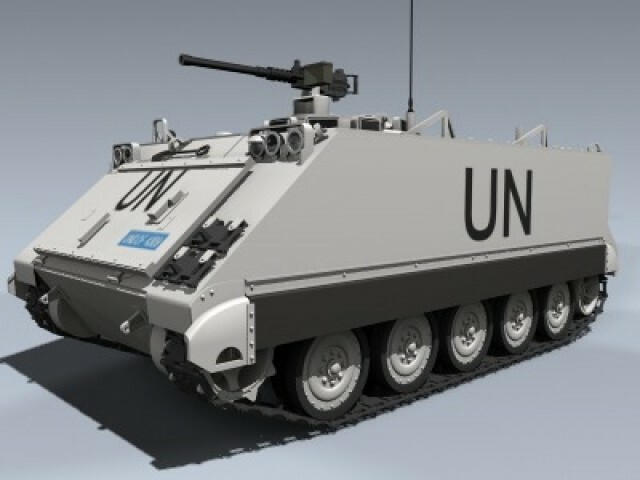 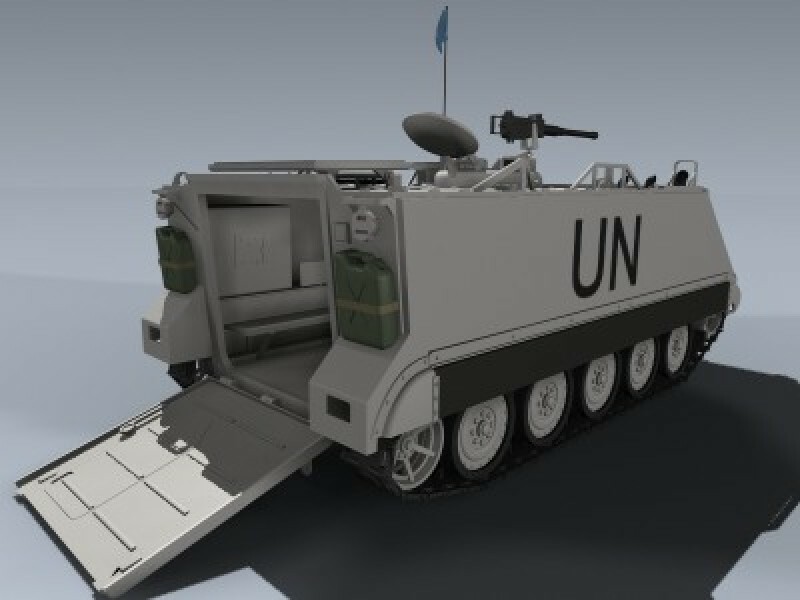 Very detailed armored personnel carrier in United Nations Peacekeeper paint scheme. 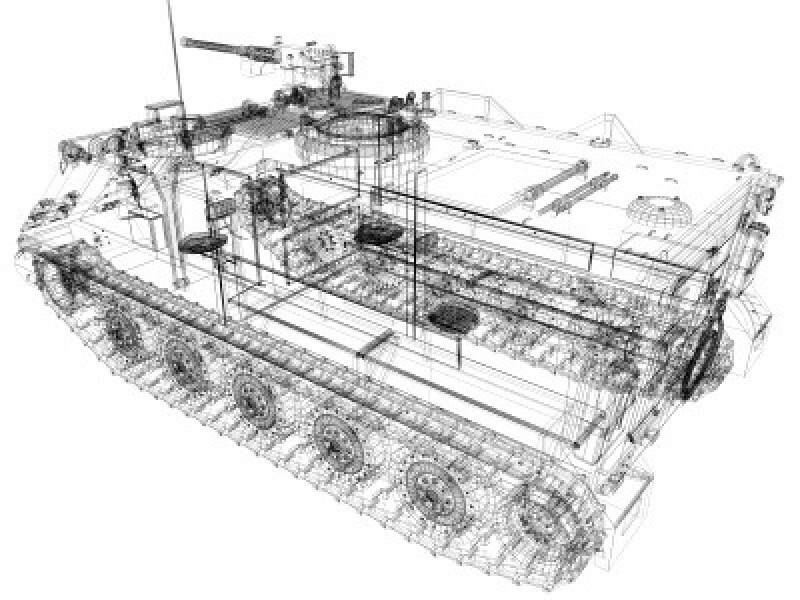 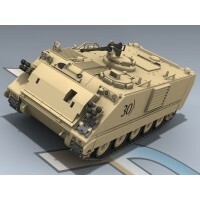 Includes separate flag, tracks, hatches, ramp, .50 caliber top-mounted gun and road wheels for animating. 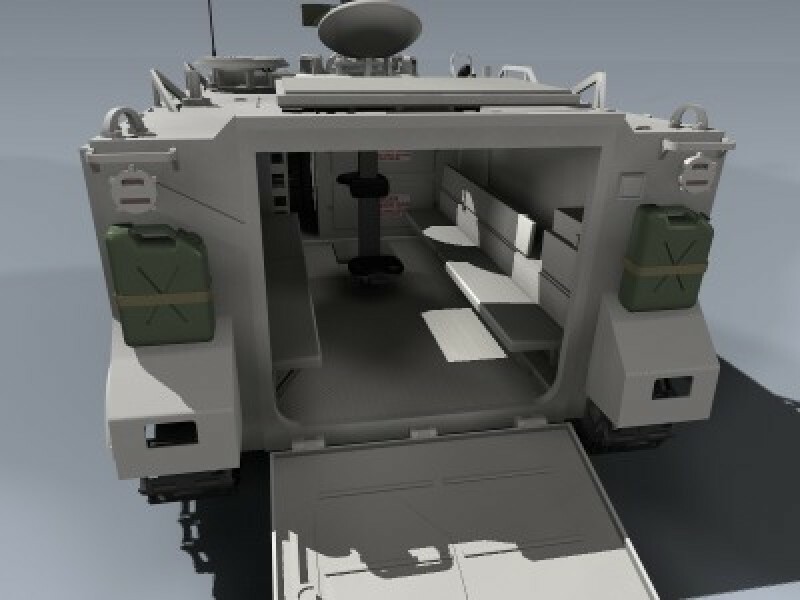 Also features detailed interior section.